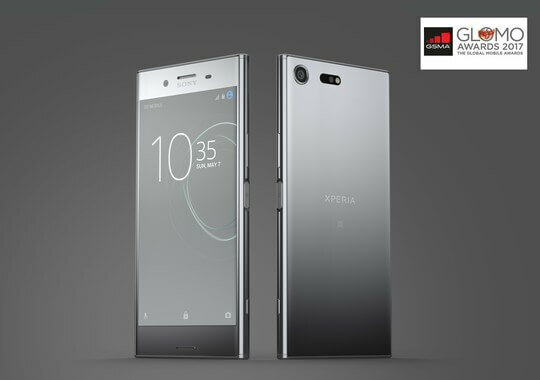 Sony's latest Xperia XZ Premium was awarded the "Best New Smartphone or Connected Mobile Device" during the annual Global Mobile (Glomo) Awards at the Mobile World Congress (MWC) 2017 in Barcelona, Spain. The flagship device garnered over 30 accolades and received media recognition such as "Best Innovation" from the UK Blog Awards, "Reader's Choice" and "Best Smartphone" from Radar, as well as "Coolest of MWC" from Wired. According to Hiroki Totoki, President and CEO of Sony Mobile Communications, the Xperia XZ Premium is Sony's "most technologically capable smartphone ever," and they are honored by all the recognition. The Xperia XZ Premium flaunts a 5.5-inch 4K HDR Triluminos display, with Corning's Gorilla Glass 5 protection on the front and back. It comes with a 19-megapixel rear camera and 13-megapixel front snapper, features Sony's new Motion Eye feature, and allows 960fps super slow motion video capture and playback. Rated at IP65/68, this flagship device also features Predictive Capture that allows catching fleeting and exciting moments that users would otherwise miss. The Sony Xperia XZ Premium is yet to be launched in the Philippines, but it already appears to be a promising phone with highlights on the camera display, design, and overall performance.